Are you a shoe-lover looking for a unique pair of heels for your collection?! Then you’ll love the selection Iron Fist has to offer!! I recently purchased my first pair of Iron Fist pumps andÂ decided to go for “vanity fair”. An open-toe black heel with a day of the dead inspired look. I saw their heels while browsing for a new pair of shoes, and knew I had to own my very own set. They have various styles which are equally as crafty. Like zombies? Check out their zombie-inspired heels in the scroll box at the end of the post! 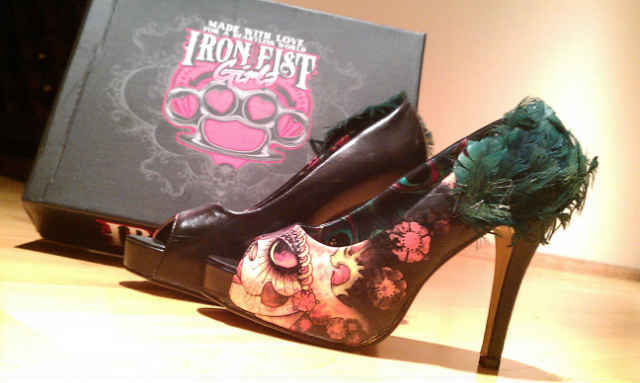 Iron Fist heels are very unique and will definitely have people asking you where you got them. Check out my vanity fair’s below! They had a nice fit and were pretty comfortable. The material feels nice and sturdy, which means they will last a long time with proper care. The only complain I have, is the fact the green jewels fell off the first time i wore them out. Perhaps, these are not the best shoes to dance in! 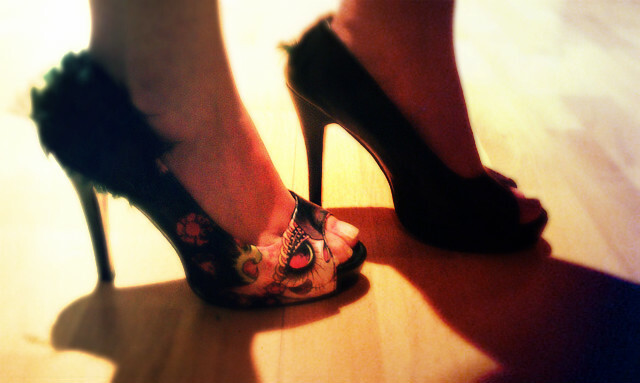 Regardless, I am very happy I decided to go for these heels. They are very pretty, andÂ satisfiedÂ my need for a unique pair of heels.Â Iron Fist also offer boots and flats, which are equally as cute. I have never really seen shoes with designs as unique as Iron Fist specializes in, which makes me like the brand even more! Like my heels?! Check out a few other ones below! 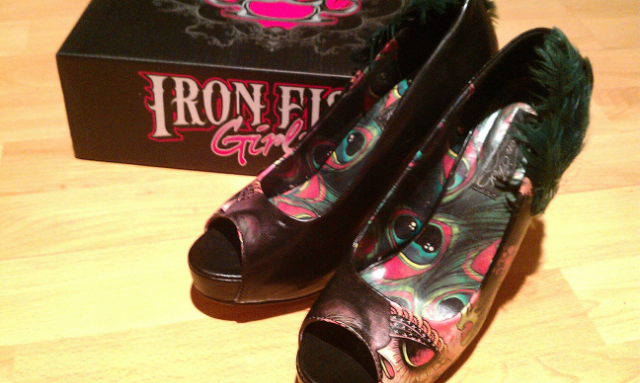 Â Do you wear Iron fist shoes??? I’d love to hear what you think of them! These shoes are so great!! Loving the pink ones too. I have the Key to my soles and the American nightmares…..both are amazing shoes!! the graphics are awesome and the quality is great!!! these shoes are perfect!!! great comfort, unique styles and you get the head turns in any of these bad boys! !